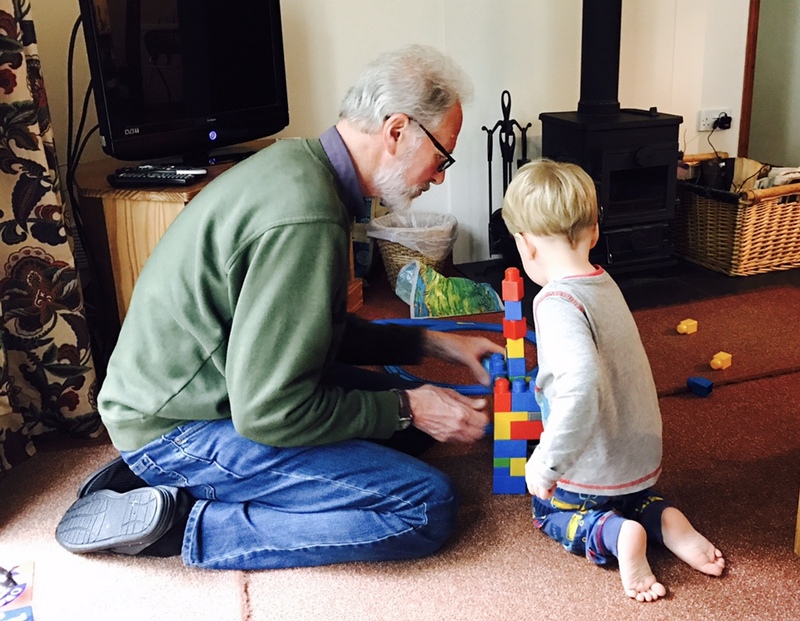 Home holidays	TRAVEL REVIEW: Need to entertain three generations? Head to Cornwall! 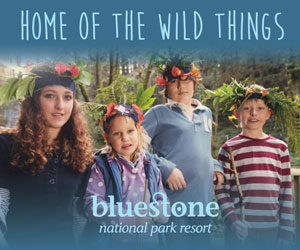 IF you’re looking for a week away jam packed with family-friendly activities, you really don’t need to go very far. 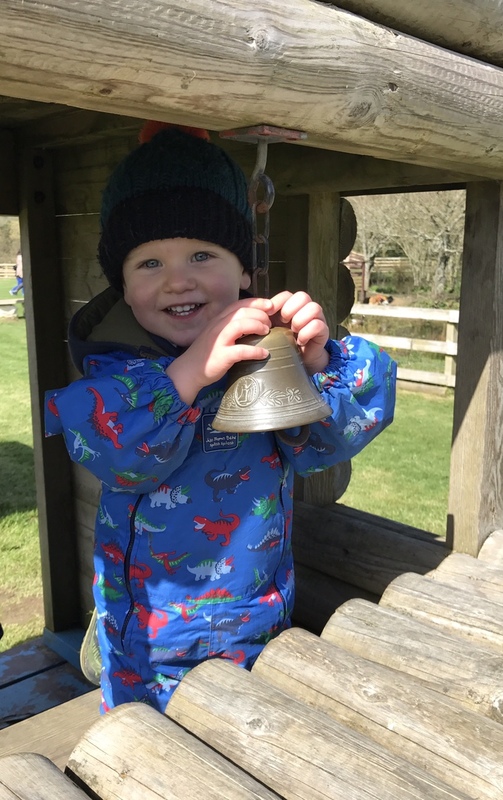 Right here in our beautiful region there is so much to do with young children, we decided to head over the bridge into Cornwall and see what was on offer. 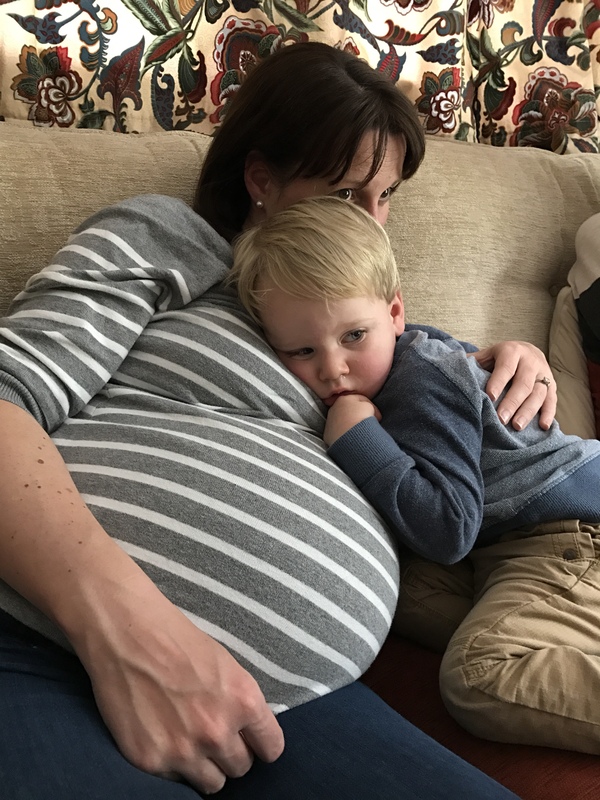 Being a mum to a 22 month old little boy, and seven months pregnant with twins, this was likely to be our only get-away for at least six months (I’m being optimistic) so I wanted to make it extra special for our toddler, Thomas. Best way of doing that? Bring the grandparents along too. 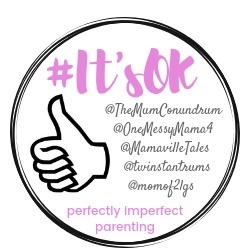 Extra help for my husband and I, he loves it, they love it. Win win. After the usual rigmarole of packing the car as if you’re going for three months, we drove just over an hour to the village of Goonhavern, 2.5 miles from Perranporth on the north Cornish coast. From here we were well situated to sample what Cornwall has on offer to entertain three generations on a day out. And we really were spoilt for choice. 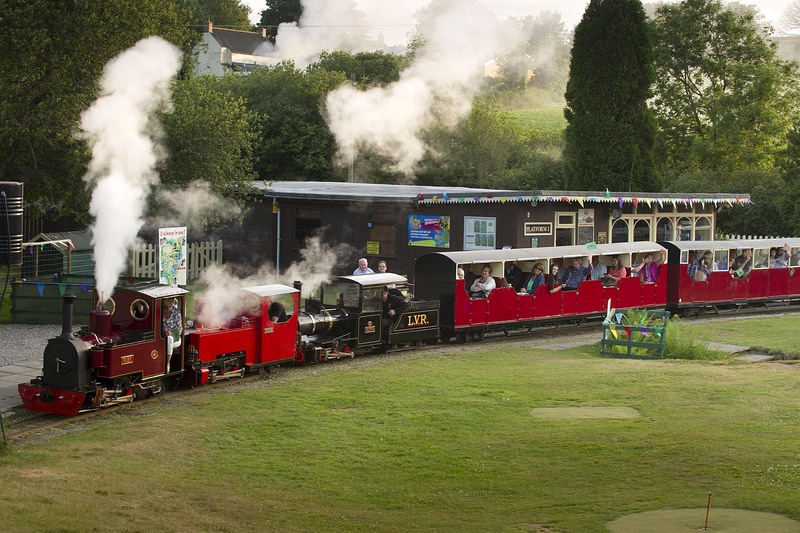 First up was Lappa Valley Steam Railway and Leisure Park near Newquay. 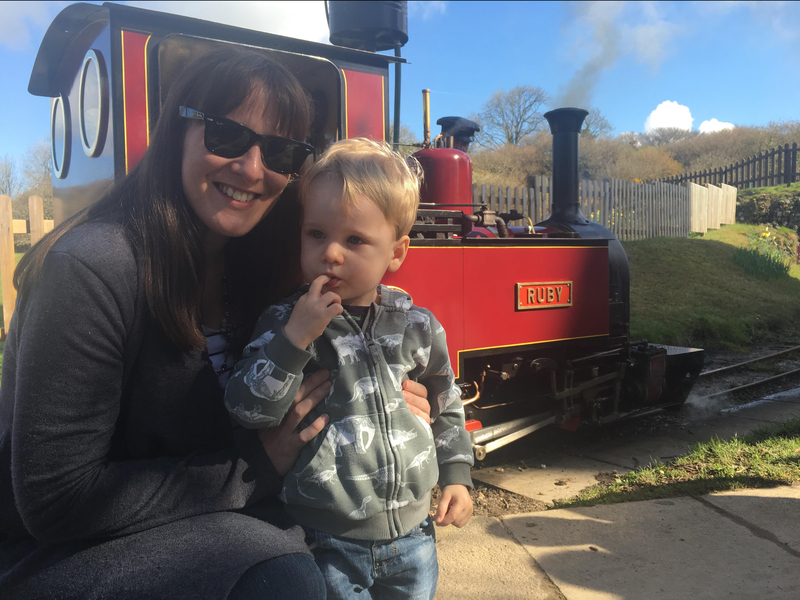 I’d heard good things about this place and was excited to take Thomas, who loves ‘choo choos’, there. He couldn’t have had a better time if he’d tried. 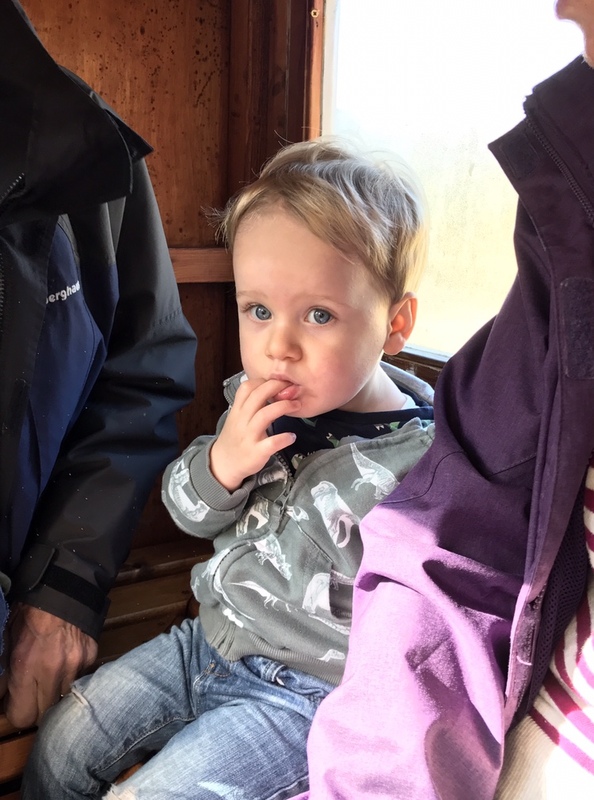 Once out of your car, there is a 10 minute journey into the park on a steam engine, so straight away Thomas was in his element. 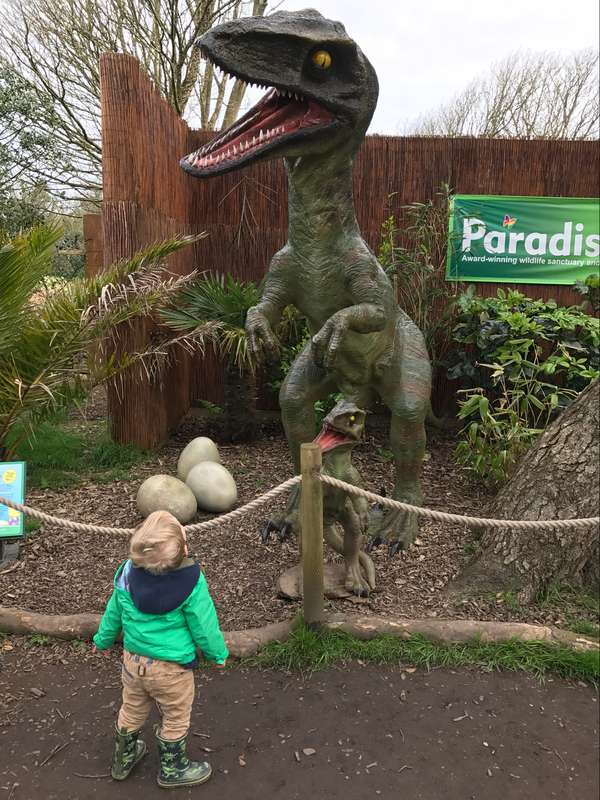 Once there you’re surrounded by fun things to do from a canoeing lake, crazy golf, giant tube slide, a family games field, pedal cars, pirate play ship, indoor play carriages, mini ride-on tractors, a play fort, toddlers path maze and adventure play areas. There are also two further railways to explore, including the sit-on Woodland Railway which takes you around the park. Our day was basically spent coaxing Thomas away from each activity he went on to explore more, as everything he did was the best thing ever – whether it was the simple roundabout swings for under 3s, the ride-on tractors, the indoor play carriage full of brilliant toys, a train set, soft play, and wacky mirrors, or the sandpit. Everything was wonderful to him. And the prospect of three ‘choo choos’ in one day was the icing on the cake! Second on the week’s itinerary was Springfields Fun Park, just 5 miles from Newquay. 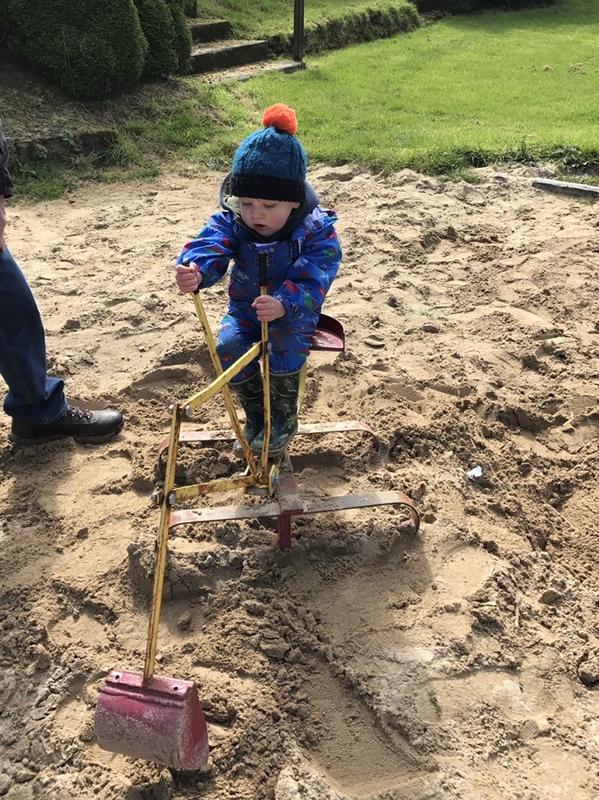 The 35 acre site offers bags of room for little ones to have fun, either on the outdoor play equipment, the pedal go-kart track or boating lake. 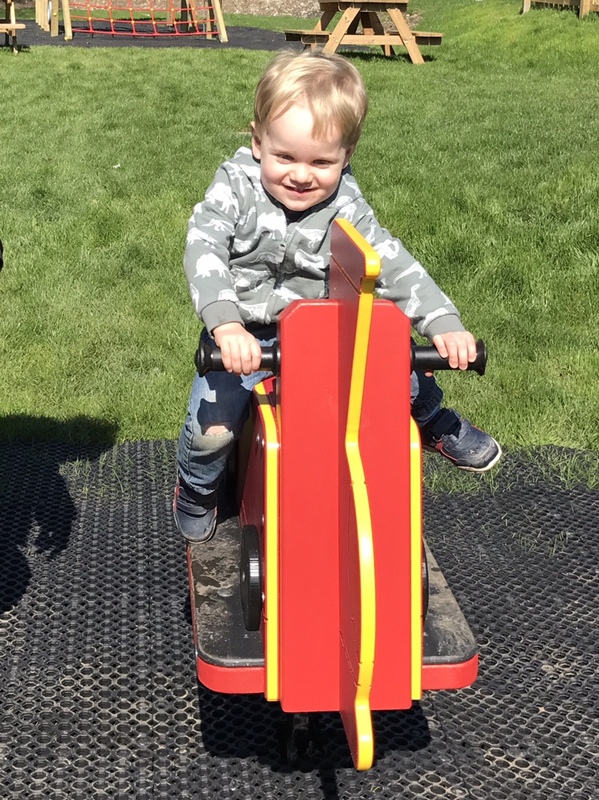 Thomas loved the train ride around the park, the sand diggers, trampolines and swings. 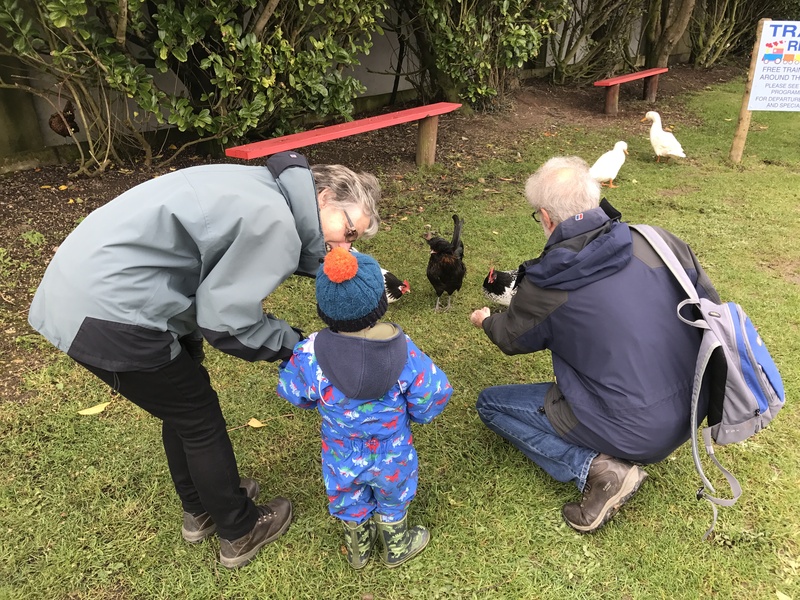 The park also has animals you can feed including pigs, ducks, fish and goats, as well as a programme of activities where you can meet the alpacas, bottle feed the lambs, ride and groom a pony, and cuddle a bunny rabbit. We had great weather all week, but for those who aren’t so lucky during their visit to Springfields, there is a huge indoor play barn where the fun can continue. It has a large bumpy Astra slide, a drop slide, soft play area, giant games, indoor UV Enchanted Wood, play castle, under 2s area and Little Tikes cars and houses. It was ideal for toddlers, but there was plenty older children could enjoy too. And as if that wasn’t enough fun for Thomas, we loaded more excitement on top of him, heading to Paradise Park in Hayle. 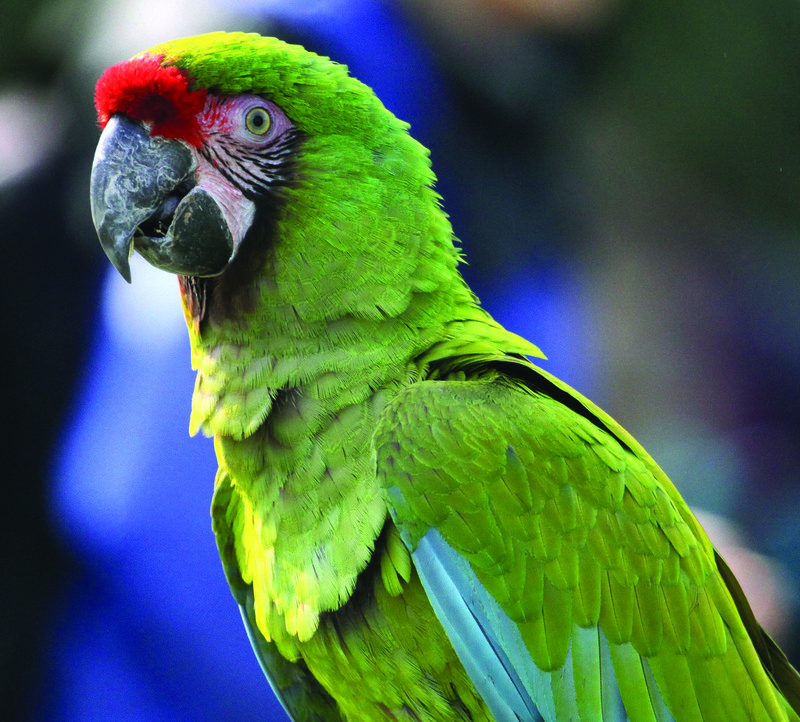 The exotic gardens were opened in 1973, and are now home to over 140 species and a total of more than 650 birds – so there is plenty to see. 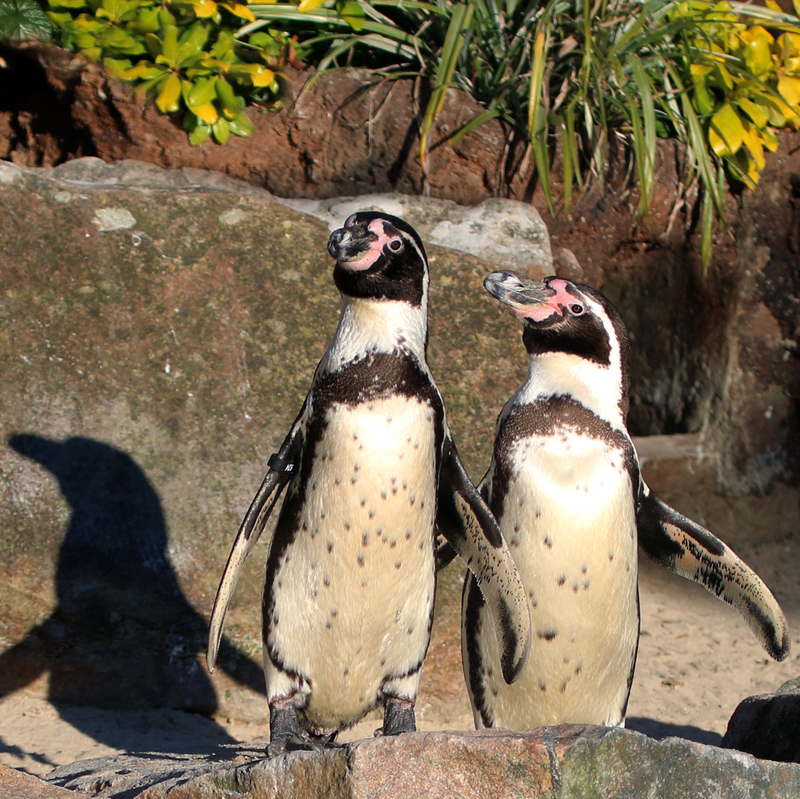 As well as seeing the birds, there are daily activities such as Carrot Time to feed the farm animals, otter and penguin feeding, Eagles of Paradise display, and watch parrots and other birds fly free in a special show. Kids can also have a whale of a time in the huge indoor Jungle Barn play centre. It has soft play, giant slides, and a toddlers’ area, enough to keep the children entertained for hours. My husband was exhausted chasing Thomas around! At the end of each fun-filled day we were glad to collapse in a heap at our holiday cottage in Goonhavern. 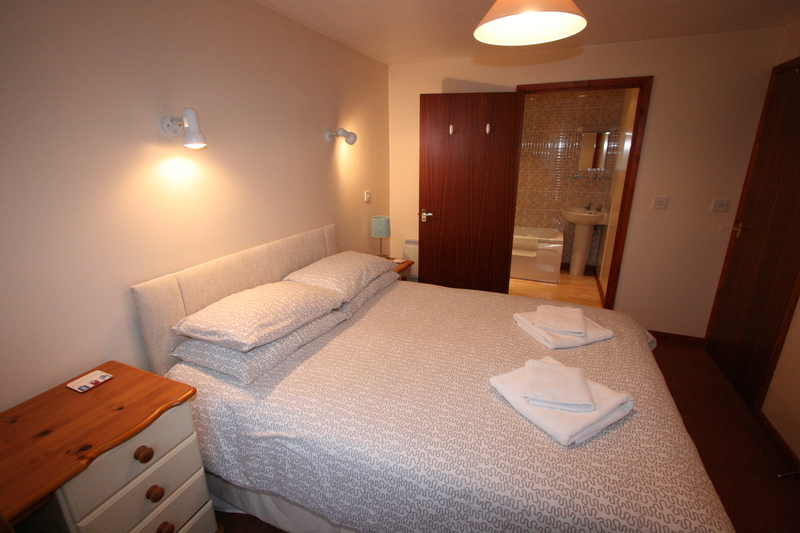 We stayed at Hazel Croft, which is one of six self catering places at Croft Cottages. 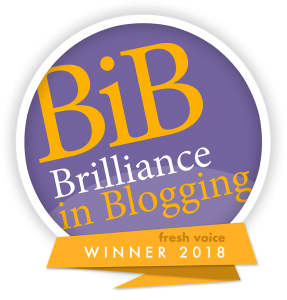 They are attractively set in four acres of mature gardens, fields and woodland, on the edge of the village and it was perfect for what we needed for a week away. The single-storey accommodation had a double bedroom with ensuite, and a twin room with cot for Thomas, an additional family bathroom, a living room with dining area, and well equipped kitchen. The light and airy lounge had patio doors out to the front garden and picnic bench – ideal for that much needed cuppa in the sunshine after a busy day out. There was also a brick barbecue in the garden. If it turned chilly, there was a wood burning stove in the living room, although we didn’t need to touch it. The dining area looks out over the neighbouring meadow, and woodland. 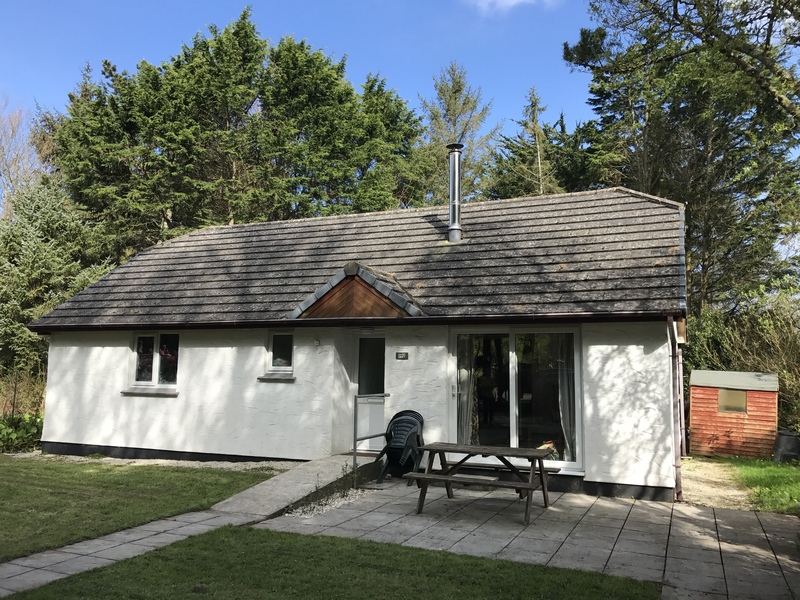 Although conveniently situated on the main road off the A30, the cottages are set back and secluded, giving you the peace and quiet you want on holiday. Until you remember you have an energetic toddler with you. We obviously took toys and books to entertain Thomas, but the cottage had a whole cupboard of games for young guests, as well as a train set which was a definite highlight. 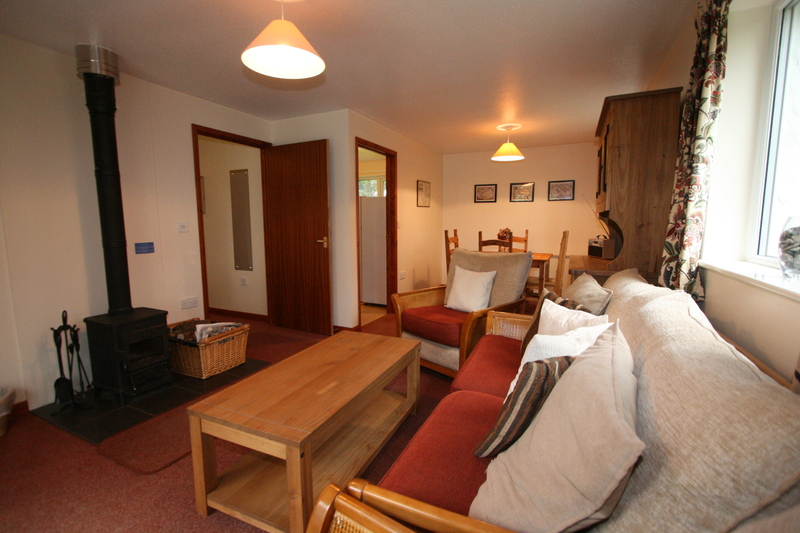 Hazel Croft was situated perfectly for exploring the surrounding area and further afield, it was clean and had everything you needed for a week’s holiday. 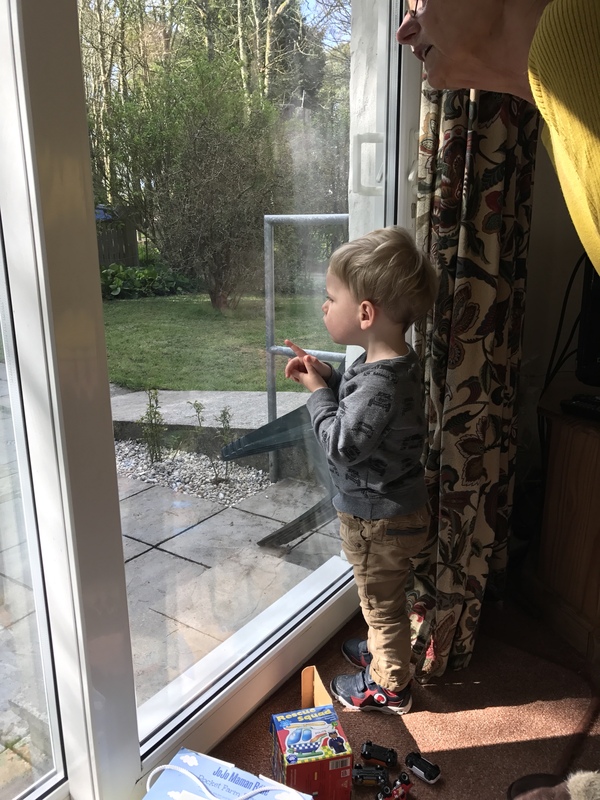 Being on one level, with a cot, highchair, games and fire guard, it was totally child-friendly, and Thomas loved being able to run from room to room with no stair gate restrictions like at home. The setting was beautiful and tranquil, but still close enough to the village’s amenities, and Perranporth’s fish and chip shop. It took less than 10 minutes to get to the popular coastal destination, with its three-mile stretch of golden beach. 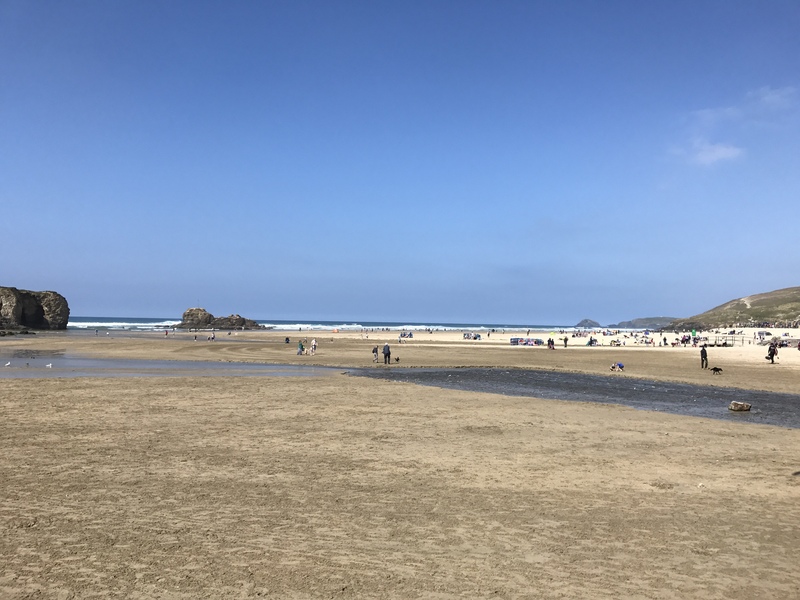 And we were lucky enough with the weather to be able to make the most of Perranporth beach, for a few hours of sandcastle building and running down the sand dunes. 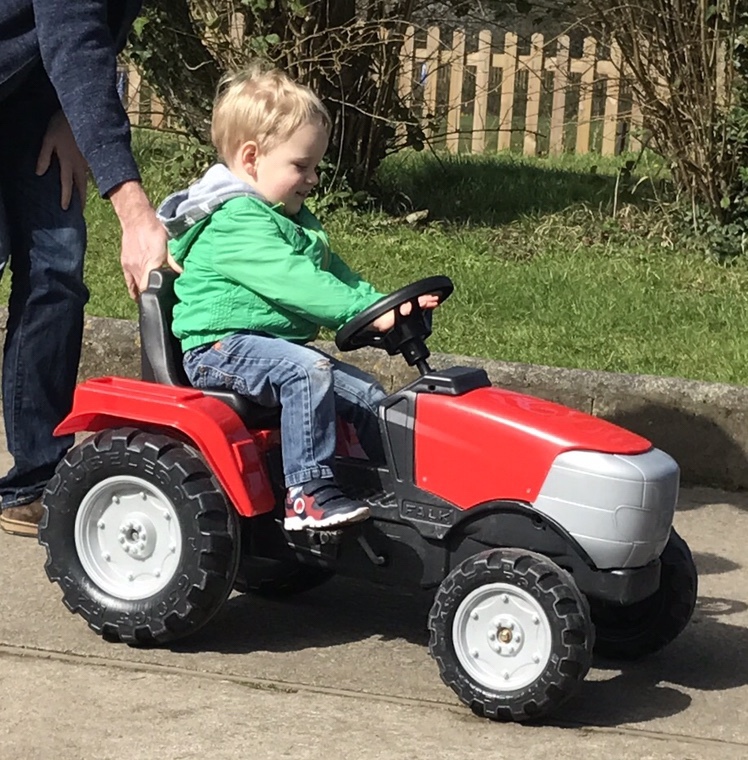 Keeping a toddler entertained for a week can be hard work, but staying at Hazel Croft and making the most of what was nearby, was the ideal way to ensure all three generations had a wonderful fun-packed holiday.